• 3-5 Days. Larger quantities will require longer production times. These uniquely crafted houses are custom printed with your artwork and is sure to be a big hit! These houses are great for a one of a kind gift or for corporate branding as this will be a product that the recipient will enjoy for many seasons to come. 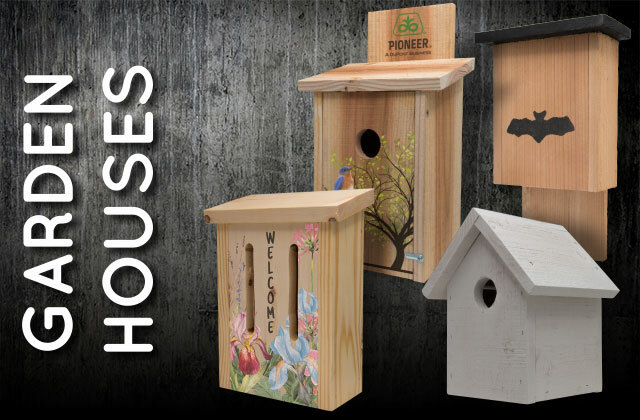 The Bluebird, Bat and Wren houses are constructed of quality cedar lumber which makes it great for long exposure outdoors. The houses feature a front print area standard with other sides/top printing available for larger quantity orders. We also offer a premium white wash finish for larger quantity orders. The Butterfly houses are constructed of pine and have an easy to use front panel lift system to allow you to add your own natural perch materials. 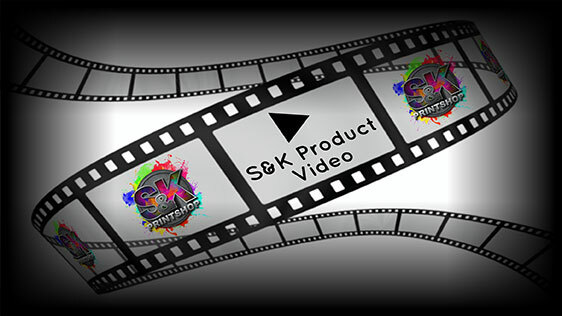 Click Here to get a FREE quote from S&K for next Garden Houses printing job!